For those of you not familiar with the Irish concept of Cemetery Sunday, it's where, once a year in the parish cemetery, prayers and devotions are said for all the people buried there. There is a two-fold reason for it. 1. It is a lovely opportunity for families to gather together and remember their loved ones. 2. It is a devious way to make sure that people look after their family plots and prevent the graveyard becoming unkempt and overgrown. This is good old Ireland. 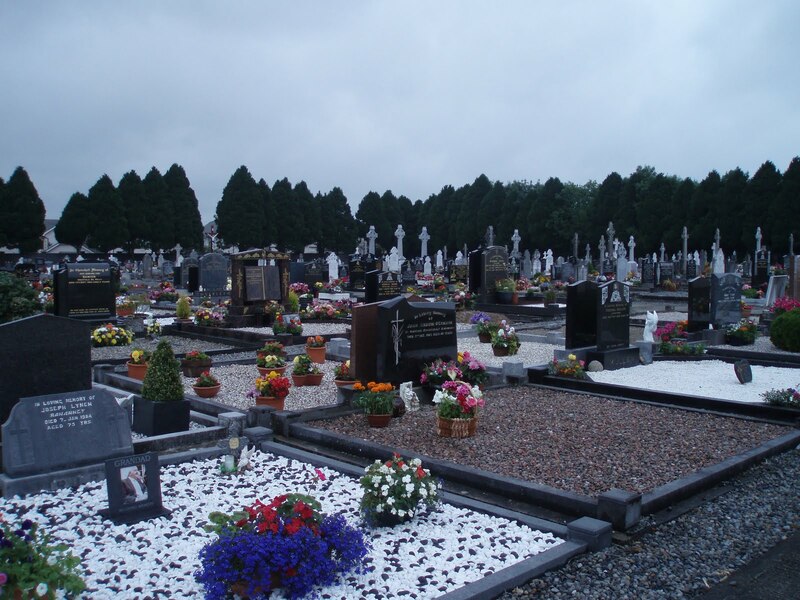 The neighbours will talk if your family plot is not up to scratch! Ah, you can't beat peer pressure to get a job done! I particularly liked Cemetery Sunday when I was living in Abu Dhabi. It is held the last weekend in June and that was always the week when I returned home for my summer holidays. The one thing everyone in the village has in common is a dead relative and so everyone goes. It was the perfect opportunity for me to meet up with my friends! Now, a good friend on mine Mohammad, could not get his head around this concept at all. "Sha'adah! You go to the cemetery to meet your friends???" I tried to explain that this was not a regular occurrence. It just happened that the first time I met my friends when I went home, was in the local graveyard! We didn't make a habit of it. It's not like we said every week. "Well, what will we do tonight? Oh I know. Let's meet in the cemetery." Everyone from the village goes to Cemetery Sunday. The cemetery itself is in a nearby village on the other end of the parish. This means that the village is empty for a few hours. A few years ago some quick thinking individuals took advantage of this and the whole village was robbed during this time. Cleaned out! There was no one left to protect it! So now, Cemetery Sunday is the only day of the year when there is a visible garda presence in our sleepy little village!! !